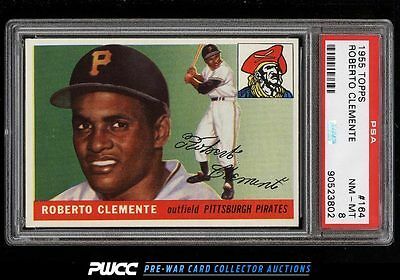 Exceedingly bright and all-around fresh Clemente RC which boasts almost MINT surfaces and color. All four corners are conservatively NM-MT and the gloss is thick. Perhaps the brightest example we've brokered in our history. This card really pops. Among the finest copies in the land and a must-own rookie card in the world of collecting. Awesome. One of over 11,000 cards, lots, and sets up for bid in our 9th Auction of 2016. Click on the link above to view the other PWCC auction lots.